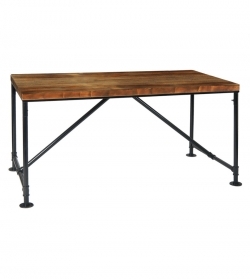 Add an air of rustic charm to your commercial establishment with this industrial style restaurant table. Deriving inspiration from the retro-modern industrial fusion, the table features long steel table legs for a striking contrast between the smooth wood table top constructed of pinewood with a mesmerizing reclaimed look. Delivering utmost durability with its superior construction and craftsmanship, the base is tightly secured with gauge steel for a sturdy and solid built that will last many years through the rigors. 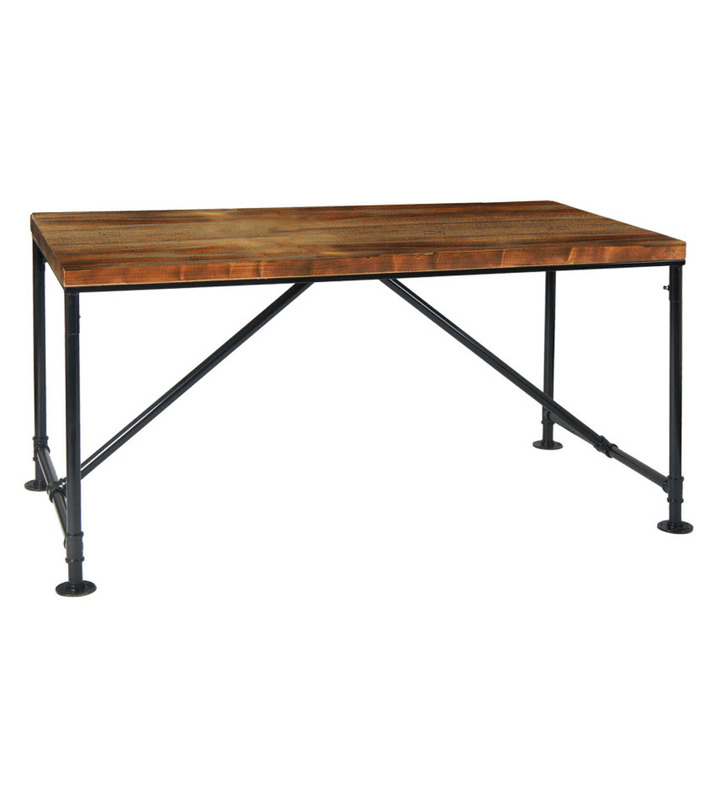 Attractive in appearance and affordability, this restaurant table releases a modern an rustic vibe that creates an inviting charm to your space. Complete your decor with any of our industrial style chairs.